Some 2,150 migrants and refugees were rescued from boats and dinghies in the Strait of Sicily in 18 separate operations on Friday, the Italian coast guard said. 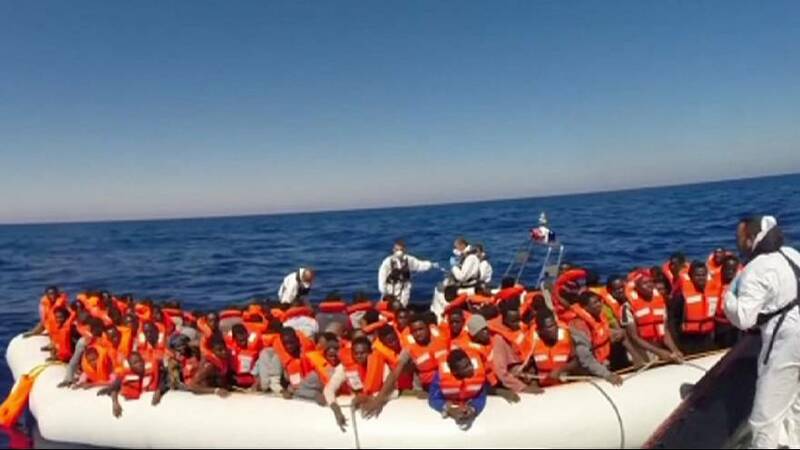 The Italian coast guard released footage of three of the rescue operations, including a mission during which 375 people were rescued from three crammed rubber dinghies. On Sunday, 1,000 rescued refugees and migrants, including many children, were brought into the port of Cagliari in Sardinia.